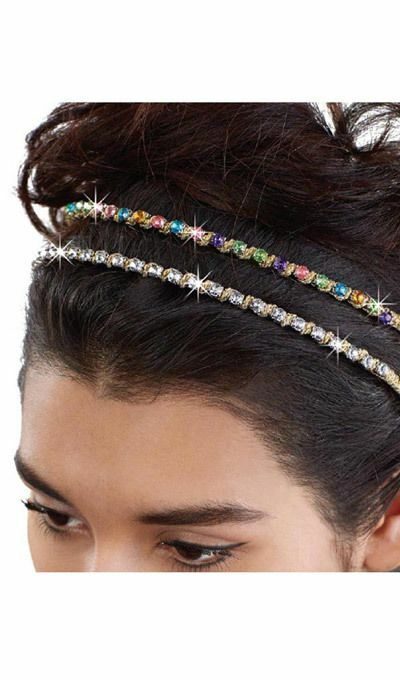 Dress up your hairdo with this Pastel Bling Headband! 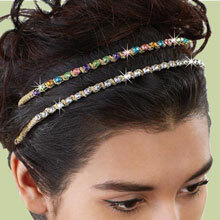 Brilliant multicolor pastel crystals line up on silver-tone metal wrapped in a glint of golden lurex cording. Imported. ¼"w.
This has a good feel to it - stretchy and comfortable. It's also very pretty.